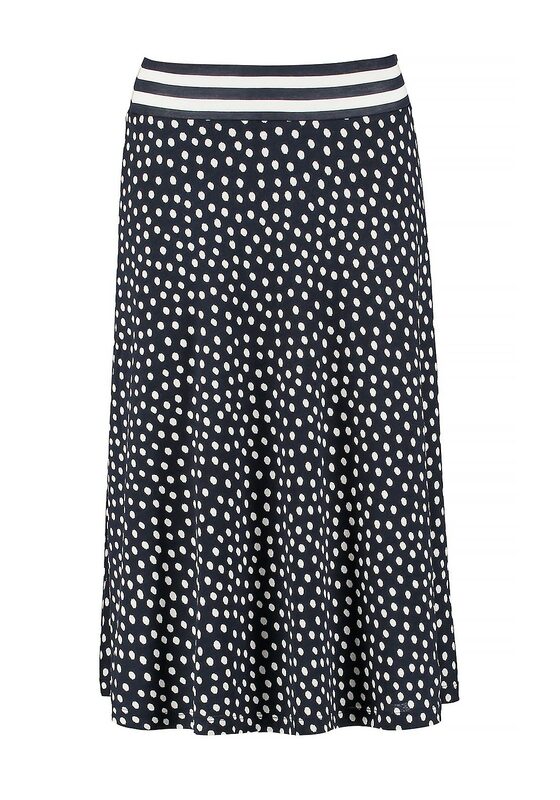 A feminine and flirty midi length skirt from Gerry Weber in navy with a pretty white polka dot print. 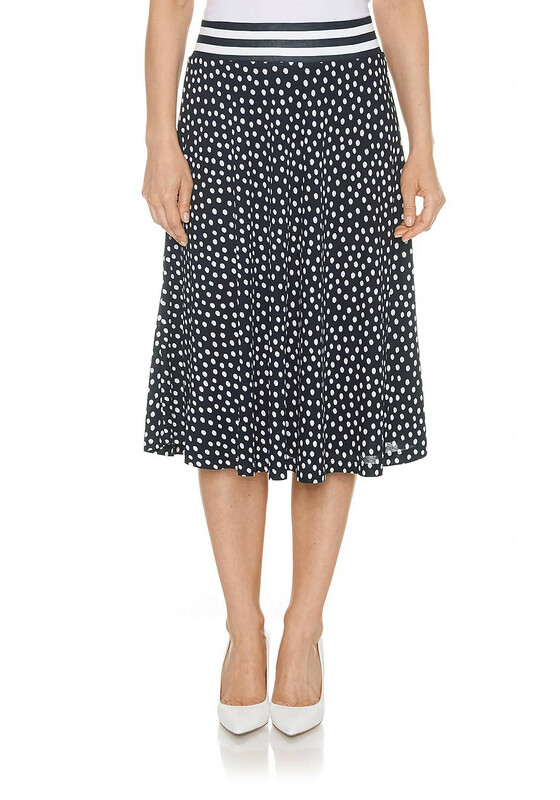 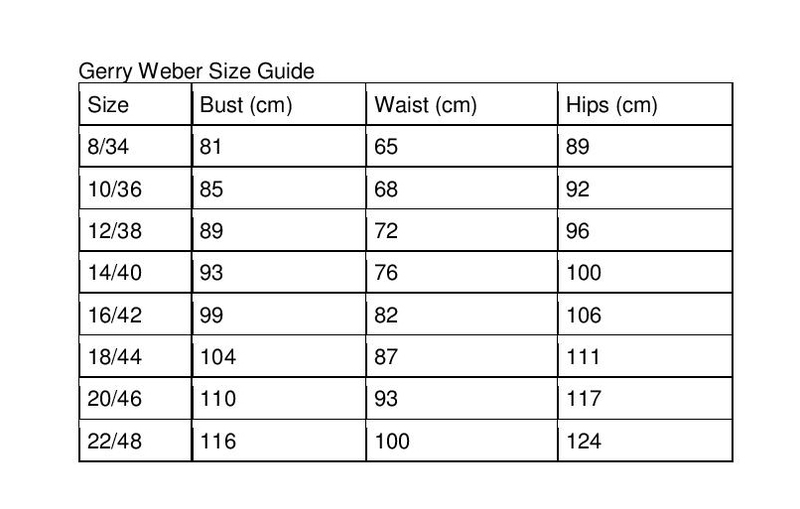 Crafted from a jersey fabric is fully lined and has a thick navy and white striped elastic waistband. 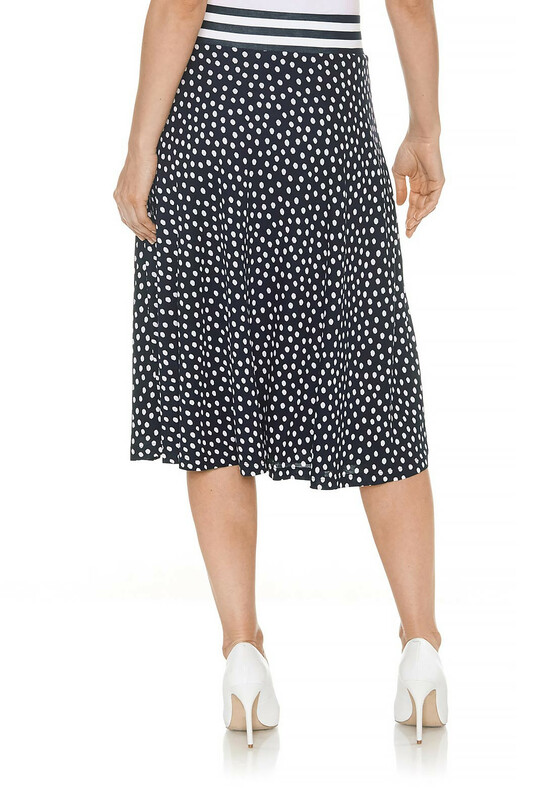 A light and comfortable skirt that will look amazing teamed with a top and sandals.